Home / Calabar / Chiamaka Obiekwe / Why travel abroad when you can visit Calabar for an unforgettable Christmas? December is a time where many Nigerians pack their bags and baggage to visit tourist destinations that Nigeria can compete favourably with. Nigerians travel to choice tourists havens like Zanzibar, Cape Verde, Gambia, among others countries. With the economic recession, you can significantly save by visiting Calabar this Christmas. There is no argument about this picturesque and pristine state. It is Nigeria’s biggest and most attractive tourist destination. Calabar was once Nigeria's biggest slave ports and a key hub where slavery thrive. Calabar is located in South-South, Nigeria. It is the capital city of Cross Rivers and also referred to as "Canaan City". The original name for Calabar was Akwa Akpa, from the Efik. 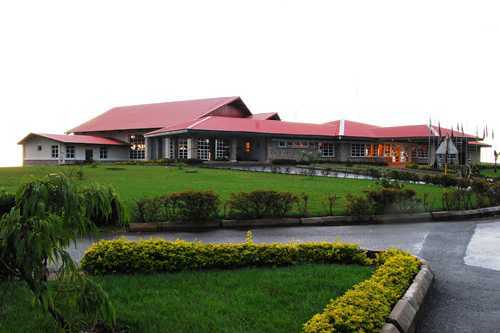 So, if you are looking for a wonderful destination beyond travelling, then Calabar is highly recommended. In light of this, if you have few days to spare, we showcase how you can spend these few days. The Marina Resort in Calabar sits on a great historical site, the water mouth of Calabar. It is close to the old slave trade sites where nearly 30 percent of the slaves that left Africa were deported. Presently, Marina Resort is a preserved historical site, an ‘island’ having a cinema house, and recreation center. The slave history museum is located right inside Marina Resort, and you tour the resort to have a fair understanding of Nigeria’s Slave Trade era. You can also enjoy a movie or two at the Filmhouse Cinema located inside the resort. Marina Resort, located at the end of Moore Road, Calabar, is on the coastline of the city, and that is where it derives its name. You can lodge at the Axari hotel and Suites which is just 2.8 kilometres from the Resort. Alternatively, you can any of the best hotels in Calabar by visiting jumia travel. It doesn’t really matter if you are a local or international tourist, Obudu Mountain Resort is a must visit if you in Calabar. Some of the delightful activities to engage in are horse riding, the bird watching, the sporting facilities, and the natural swimming pool. Calabar has a very vibrant nightlife. Hence, if you are interested in nightlife and clubbing, nightlife in Calabar is fun as the clubs have amazing DJs. Some of the clubs are Jasper 131 (Marian Road), Mayfair Lounge (MCC Road), Quorum Lounge (Atekong Drive), Pinnacle Nightclub (MCC Road), Pete’s Ville Nightclub (2nd Avenue, State Housing Estate), Bay’s Bar (Diamond Hills), Beverly Heels Club (Calabar Municipal) amongst others. Freddy's, Axari and Tinapa Lakeside Hotel are also among the best places to eat. Your visit to Calabar is inconclusive in December if you don’t attend the Calabar Carnival. It is tagged Africa’s largest street party. Describing her experience, Chiamaka Obiekwe said: “I attended the carnival last year and it was a blast. The streets of Calabar was buzzing; it was full of life, colour and lots of people. Hundreds of thousands of people, if not millions attend the carnival yearly and this is a great revenue-making venture for Calabar. The theme for the Carnival last year was ‘Climate Change’ so the various bands wore costumes and had presentations that represented the theme. It was beautiful.” The carnival events are divided into 4 weeks which include the Millennium Week (1-10 Dec 2016), The Sports Fiesta (12-17 Dec 2016), The TINAPA Family Fun Festival (19-24 Dec 2016) and the Carnival Week (25-31 Dec 2016).